ChazzCreations - Townsend Cemetery Hawthorne, Alachua County, Florida The Townsend Cemetery was founded in 1872 by Noah and Sarah Townsend at the death of their infant daughter, Martha Jane, who was born February 9, 1872 and died when she was ten days old. Noah and Sarah Townsend were the parents of eleven children. Noah Townsend died in October 1891, and Sarah died in December 1904. 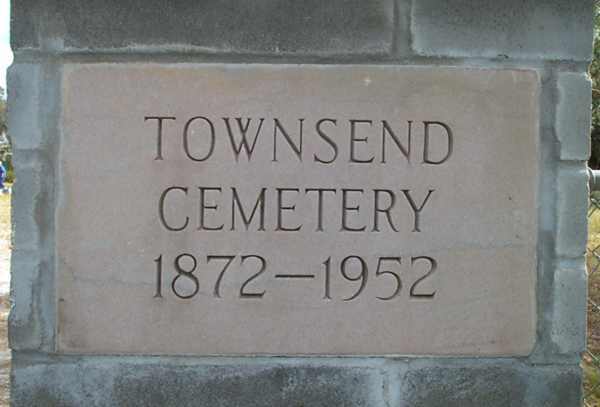 The Townsend Cemetery was founded in 1872 by Noah and Sarah Townsend at the death of their infant daughter, Martha Jane, who was born February 9, 1872 and died when she was ten days old. Noah and Sarah Townsend were the parents of eleven children. Noah Townsend died in October 1891, and Sarah died in December 1904. TOWNSEND, Wallace H., b. Jul 10 1916 d. Dec 17 1992 "US NAVY WW II"
THOMAS, Rev. L. R. "A Loving Companion, A Fond Mother, A Faithful Friend, and A Dedicated Christian"